When you enrol your child at St John Vianney's you enrol the whole family into a school community where everyone is valued and supported. Highly-qualified and caring teachers provide students with an innovative and engaging faith filled learning environment where each child is nurtured and inspired to grow to their full potential. You can now enrol online at St John Vianney's by selecting the link above. Alternatively, submit the following paperwork and enrolment form directly to the school office. To complete the application form you will need to submit the following information. Original documents will need to be presented at the time of interview. 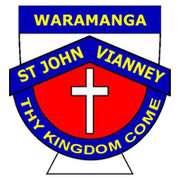 The St John Vianney's Community Council and Catholic Education Commission are responsible for setting the school fees each year. It is policy to ensure that school fees are kept to a minimum.